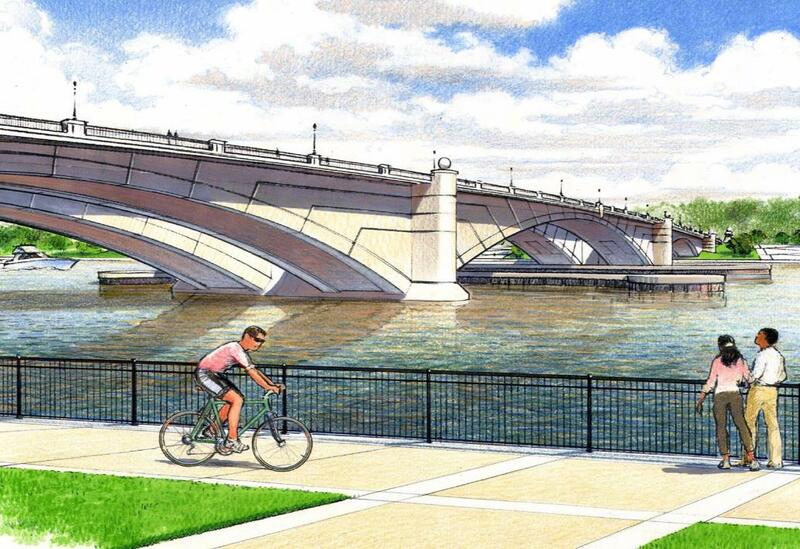 - DDOT is prepping for the replacement of the Frederick Douglass Bridge with a Request for Qualifications from contractors for design-build construction of the first two segments of the South Capitol Street corridor project. Segment one involves the replacement of the bridge with an arched bascule bridge, along with approaches to the bridge, including a new traffic oval at South Capitol Street & Potomac Avenue and a traffic circle at South Capitol Street and Suitland Parkway. Segment two will reconstruct the Suitland Parkway and Interstate 295 interchange. Future segments will include the reconstruction of the South Capitol Street corridor from M Street to Independence Avenue, part of which is making the South Capitol Street and M Street intersection at-grade. Funding for the first two segments is still pending so the start date of construction hasn't been determined. - It was reported last week in the Washington Business Journal that Constitution Center sold for $734 million by MetLife, making it one of the most expensive commercial buildings ever in the District. It was easier to sell the building once the building was fully leased. 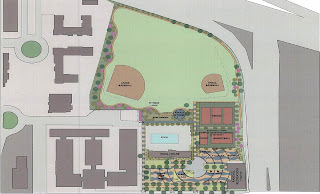 - A concept plan was released for the exterior of the Randall Recreation Center based on feedback from a community meeting held last month. The plan includes a playground for children ages 2-12 and swings. The dreary plaza area that fronts I Street would be replaced with freshened up landscaping, picnic tables, a spray plaza, game tables, sculptures, and a skate spot. The revamped park space is supposed to be completed in 2013 and has already been funded by the city. - The GSA has released a Request for Information (or RFI) for several parcels it owns in an area they have dubbed "Federal Triangle South." The RFI follows up on their Notice of Intent to release a RFI within the next 90 days back in September. The redevelopment of these parcels would result in the need for new office space for 5,300 Department of Energy employees, roughly 5,400 Federal Aviation Administration employees, and nearly 2,500 Department of Homeland Security employees. Reintroduces portions of the L’Enfant Plan street grid.